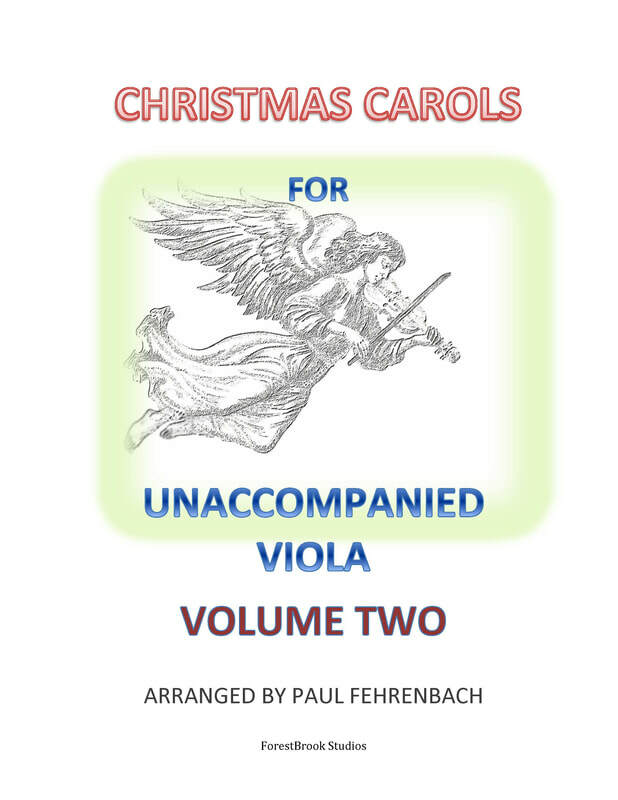 This is the second volume of 24 Christmas songs for unaccompanied viola. 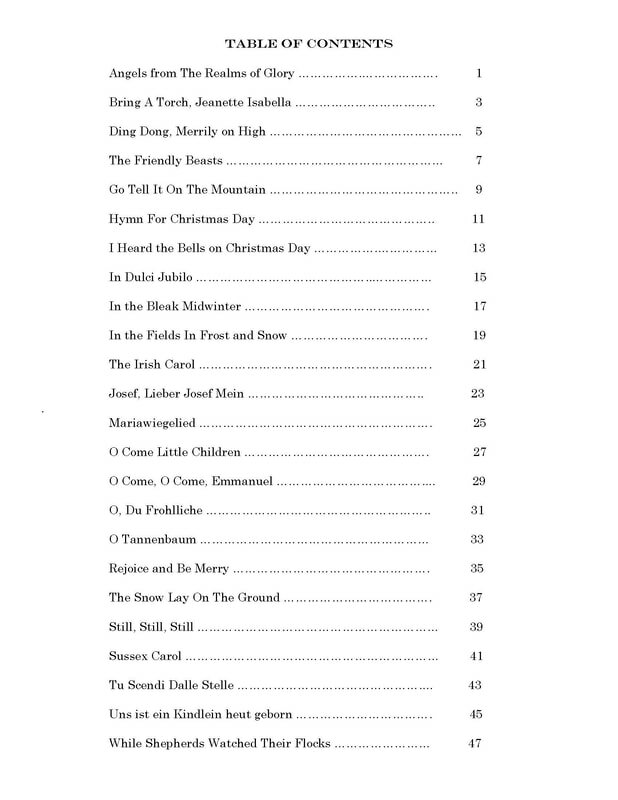 It contains a number of standard Christmas hymns but also several lesser known songs that are never-the-less just as beautiful and engaging. There are also Christmas songs from different parts of the world that are enjoyable to play and listen to. 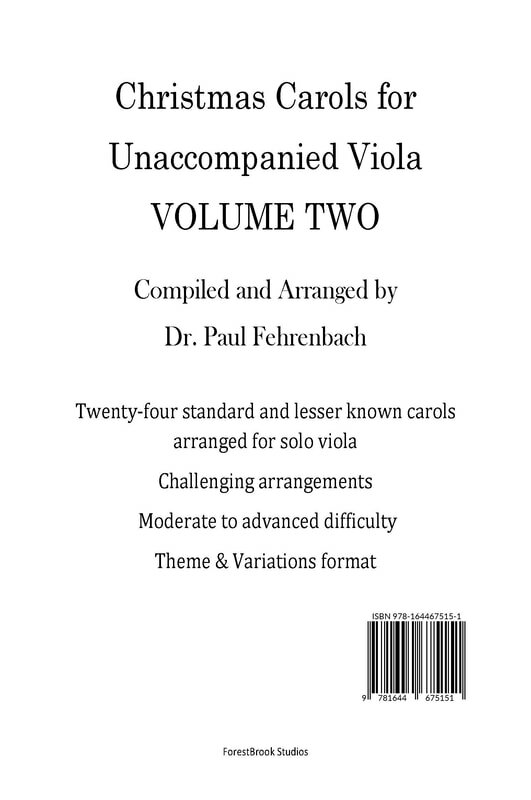 Like the first volume, the reason for this book is twofold: 1) to provide interesting and challenging arrangements of popular carols for violists to enjoy themselves and 2) provide violists with arrangements to perform throughout the holiday season. The arrangements are somewhat demanding but provide variations of these carols that should keep audiences involved as the melodies evolve. Since having a piano or guitar accompaniment to perform with it is not always feasible, these arrangements are designed to provide their own harmony throughout the song. 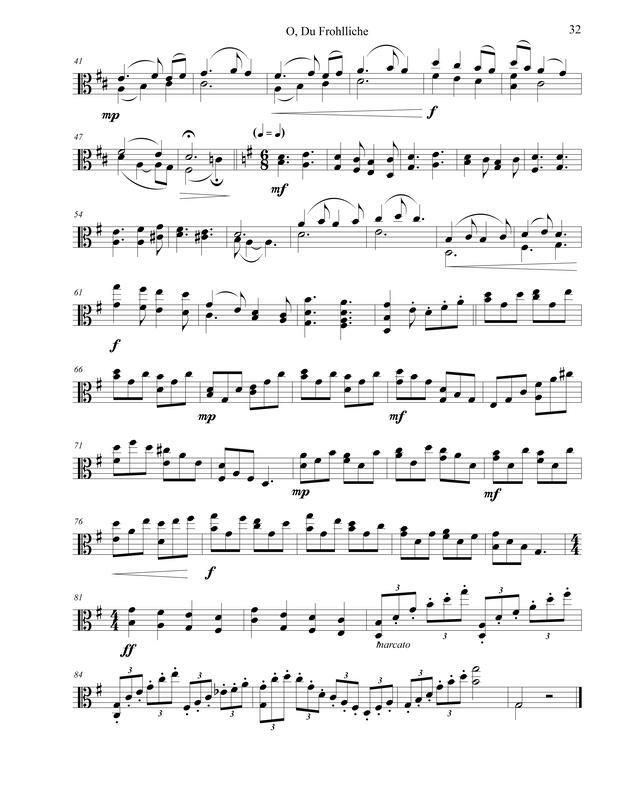 The accompaniments I have arranged for these songs are all in keeping with standard viola practice handed down since the 17th century. 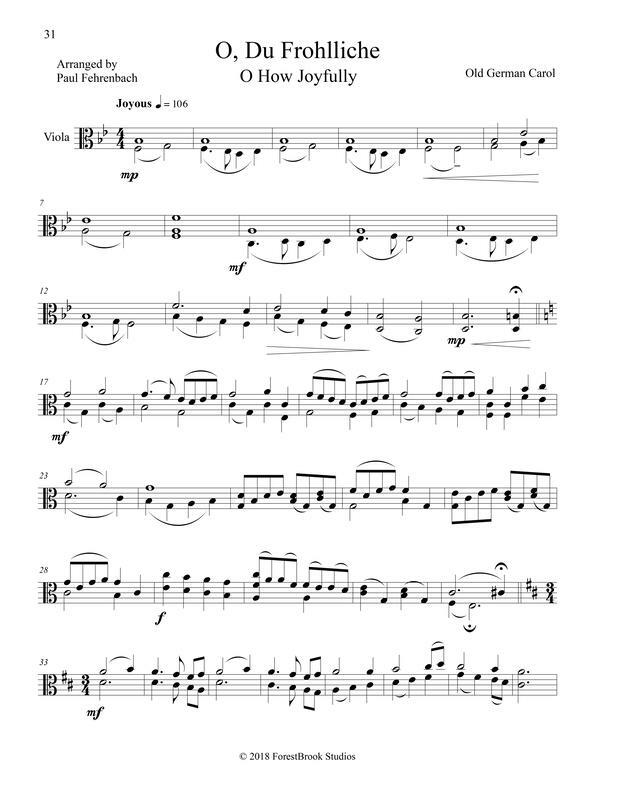 Each song is arranged as a theme and variations, beginning with the melody harmonized with double-stops or left hand pizzicato, and progressing into more developed adaptations of the theme. The arrangements stay primarily in the first three positions with occasional harmonics and higher position work.